Steve Steel can’t explain why he was drawn to music. He’s played the piano since he was 9 or 10 years old, and performed in the Bowling Green State University marching band in college. He’s been around music since he was a child, so it’s difficult for him to imagine life without it..
“I would say music is something inherent within my makeup,” Mr. Steel said. Mr. Steel, 55, is the lead singer and accordionist of local Irish punk band Katie’s Randy Cat. He started the band in 2013, with multiple members coming and going. However, Mr. Steel and Jon Zenz, the band’s bass player, are the only two original members. On Thursday, Katie’s Randy Cat will perform at Levis Square as part of “Lunch at Levis Square,” a weekly summer event featuring live music, food trucks, and games. “It’s great for downtown Toledo, and I’m glad they focus on local acts,” Mr. Steel said. Steel is an attorney at Widman & Franklin, which is on the 15th floor of the PNC Bank building. He can hear the live music from his office on Thursdays. And when Katie’s Randy Cat performs, Steel knows that people will hear them as well. “We don’t tend to be a quiet band when we play,” Mr. Heldt said. 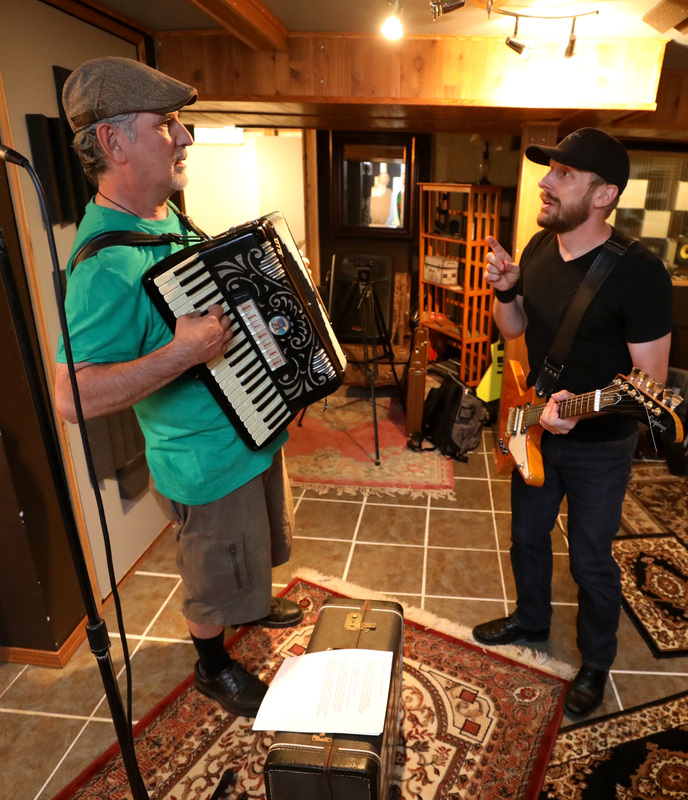 When Mr. Steel started the band, he and his crew played traditional Irish folk music with a punk style. But for the past three or four years, Mr. Steel said the band has mainly performed original songs. They practice at drummer Matt Jones’ house, and feature rhythm guitarist Greg Heldt and lead guitarist Petr Kharchenko. And the creative process always involves the whole band, which means the songs rarely sound the same every time. “Every song evolves the more we play it,” Mr. Jones said. You’ll probably hear “Harp Without the Crown” if you make it out to Levis on Thursday. The song has 10,331 streams on Spotify. It has an upbeat tempo, and it’s one they usually perform at the end of a set. “When I have friends that come to a show, if we’ve already played it, they’ll ask us to play it again,” Heldt said. “We get to showcase our individual talents I think as a whole band, especially on the bridge where we all kind of get to go crazy,” Jones said. Katie’s Randy Cat also played at Levis Square last year.